A common problem that people may notice in their basement is the gradual sinking or settling of concrete that leads to cracking and even issues with water seepage and leakage. Your basement is the foundation of your home or business, and for you to maintain the value of your structure, it needs to be in good repair. As a home or business owner, it is a good idea to watch for these common concrete problems at your home or business. If you notice any of the above issues in your basement, it is important to call Polyjacking.com. We have multiple options to lift and level basement floors very close to their original position. We have processes using a polyurethane mixture and poly equipment, where a hole is drilled in concrete and the mixture is pumped into cracks and voids to lift and level them. We work on many large concrete projects including arenas, warehouses, libraries, churches, parking lots, and much more. Learn more about our repair and surface prep processes by contacting us today. 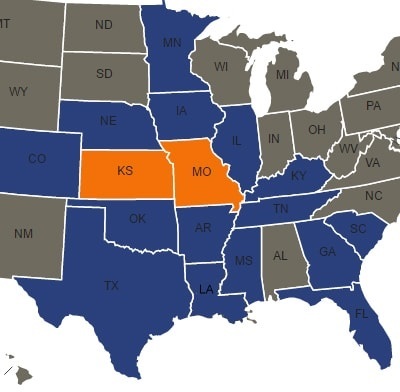 We have a large service area that covers many states and proudly serve both Kansas City and St. Louis in Missouri. 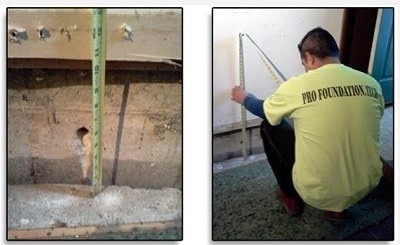 Contact us today to learn more about the basement floor lifting and leveling process.